The safest and easiest way to learn how to swim! This swimming aid has been developed and tested by swimming trainers with years and years of experience. 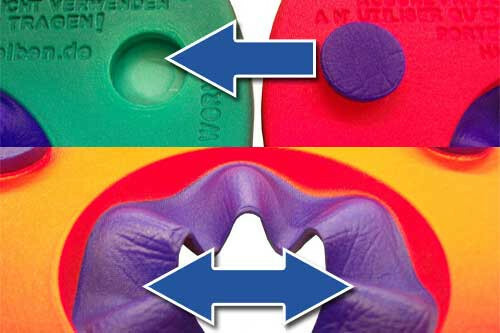 Free, unobstructed movement of arms and body thanks to concentric, flexible armholes. Soft, skin-friendly polyethylene foam. Lightweight and easy to put together and take apart thanks to toggles and holes. 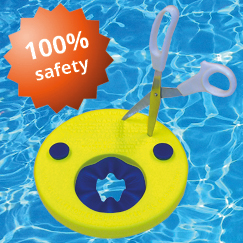 Safe swimming aid that will fit the arms of any child. Ready to use, no inflating necessary! Worldwide patented learning system for non-swimmers! 3 .. 2 .. 1 .. I can swim! Durch den flexiblen auf jeden Kinderarm passenden Armdurchlass ist ein schnelles und leichtes Aufschieben auf den Oberarm des Kindes möglich. Haben die Kinder eine relativ gute Wassersicherheit erreicht und beherrschen die Schwimmbewegungen, kann man als “Belohnung” eine Scheibe pro Arm abziehen. 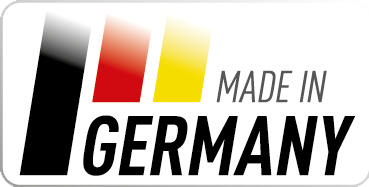 Der nächste Schritt wäre dann wieder eine Scheibe weniger. Mit diesem pädagogisch durchdachten System lernen die Kinder mit etwas Geduld und Fingerspitzengefühl schnell und spielerisch das Schwimmen ohne Hilfsmittel. Die Kinder stehen immer im Mittelpunkt und bestimmen selbst, wann sie “Freischwimmen” wollen. Gerade am See oder Meer bieten 1 oder 2 Scheiben pro Arm für noch unsichere Schwimmer mehr Sicherheit und die Ausdauer wird trainiert. What are these swim discs actually good for? 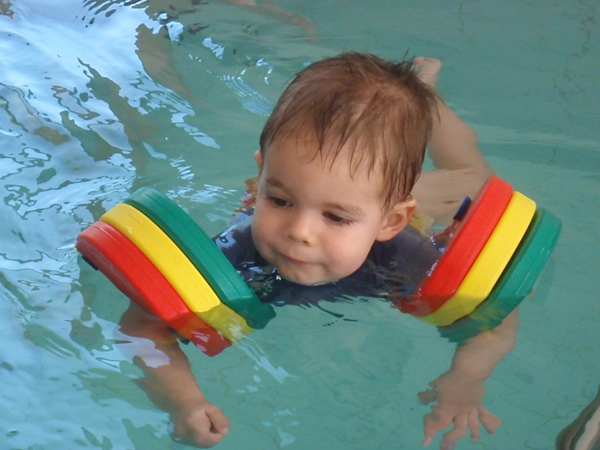 The discs can gradually be removed as soon as your child gets better at swimming. Three swim discs per arm will give your child plenty of buoyancy for the first swimming attempts; your child will be able to float effortlessly on the surface of the water. Two swim discs per arm for advanced swimmers. One swim disc per arm is used for endurance training or provides extra safety (for example, at sea). The transition to swimming “without armbands” is thus made easier! And finally, no fuss when the swimming aid has to be put on and taken off again, it is always ready to be used – no tedious inflating necessary and no more punctures. 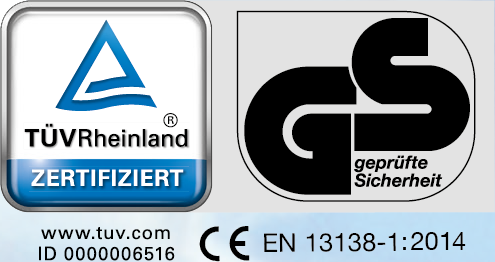 Approved by the TÜV-GS (German Safety Board for Technical Appliances) and EU certified! Ready to use straight away! No tedious inflating necessary and no more punctures!